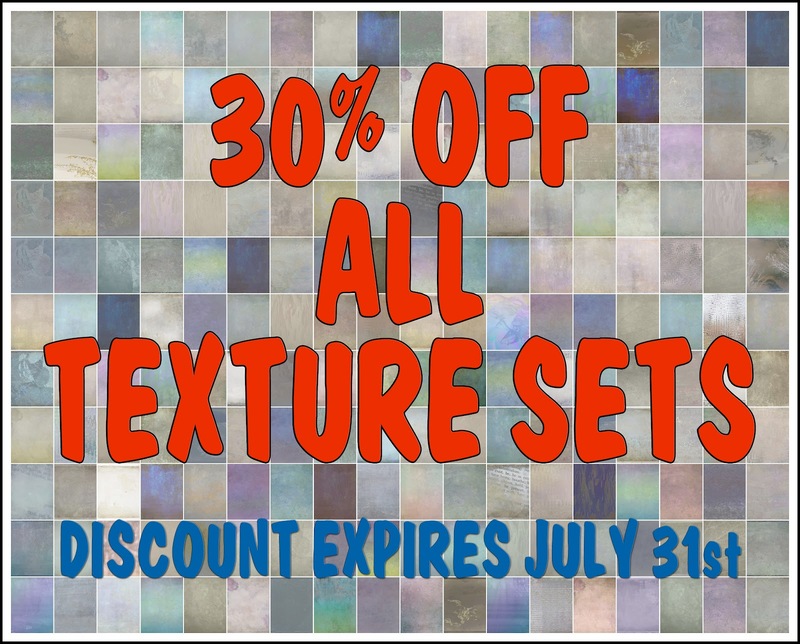 If you have been thinking about purchasing some texture sets, now is the time. 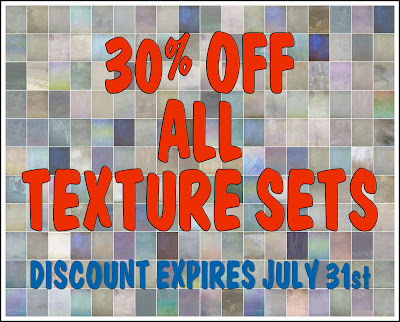 For the next three weeks each set purchased will be discounted by 30%. Don't wait - this summer sale expires July 31st at 9:00 p.m. EST. You don't have to worry about any code, simply make your selections and the 30% discount will be applied automatically. Great bargain Bonnie! Your textures are all so awesome! HOpe you are having a lovely week!